BCHN traveled to Albany on March 6 for Advocacy Day. 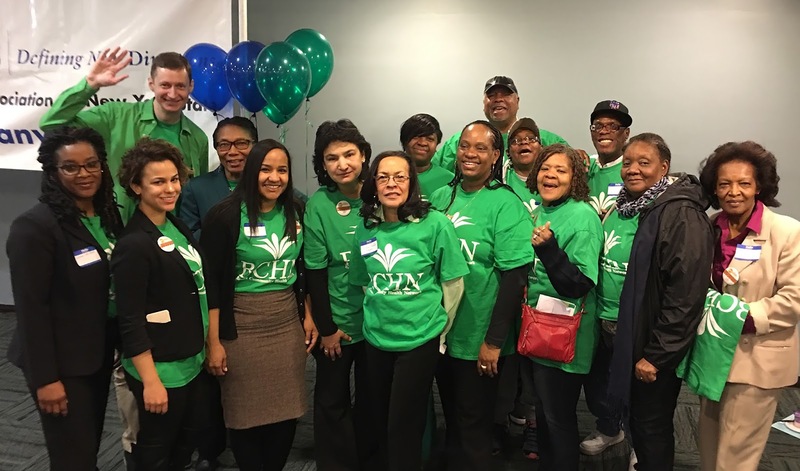 On March 6, Bronx Community Health Network (BCHN) joined the Community Health Care Association of NYS (CHCANYS) and 900 community health care supporters in Albany to let lawmakers and the Cuomo administration that New York's health care safety net is at risk. It was the largest turnout in the event's history. BCHN brought a team of Board members, staff and patients to meet with 10 elected officials that represent the Bronx. CHCANYS represents the state’s network of non-profit, community-based comprehensive health care facilities, known as Federally Qualified Health Centers (FQHCs). They provide comprehensive health care regardless of a patient's insurance status or ability to pay. Working out of 650 sites statewide, FQHCs serve two million New Yorkers annually – an increase of 35 percent since 2008. Some 86 percent of patients are near or below the poverty line. CHCANYS top priority this year is a request for the state to increase funding for indigent care by $20 million – an increase will maintain 2016 funding levels and avoid undue financial harm to FQHCs and other safety net providers that serve high numbers of uninsured New Yorkers. Without these additional dollars, many FQHCs may be forced to reduce staff, eliminate expansion plans and/or limit access precisely at a time when it is anticipated the numbers of uninsured may increase statewide, unnecessarily increasing reliance on more costly forms of care. Among the Bronx representatives meeting with BCHN were Assemblymember Michael Blake, who also recently became Vice-Chair of the Democratic National Committee. He shared his thoughts in a tweet the next day. "Health Advocacy Day on Monday provided that recharge of PURPOSE when @BCHNHealth & @Urbanhealthplan came to visit us #BuildingABetterBronx," wrote Assemblymember Blake. BCHN also met with Senator Ruben Diaz Sr., Senator Gustavo Rivera, Senator Jamaal Bailey (and Chief of Staff Jason Laidley), Senator Jose Rivera, Assembly Speaker Carl Heastie, Assemblymember Luis R. Sepúlveda, Assemblymember Victor M. Pichardo, Assemblymember Jeffrey Dinowitz, and Assemblymember Latoya Joyner. 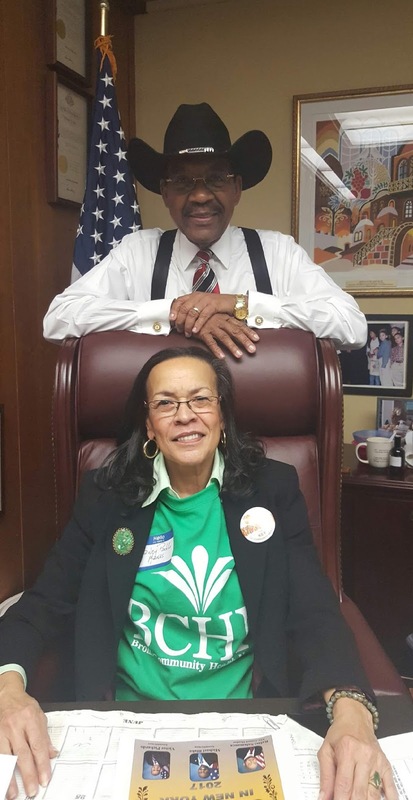 Senator Ruben Diaz Sr. poses with BCHN project director Nancy Padilla-Manus. CHCANYS noted that while New York is relying on the work of the safety net healthcare providers that serve high-poverty communities to transform its healthcare delivery system and keep patients out of the emergency room, it has sent those providers only 6 percent of the $2.8 billion spent on this purpose in the last three years. The overwhelming lion's share of the funds has gone to hospital networks, which have received even more state dollars when other hospital-only funding is factored in. 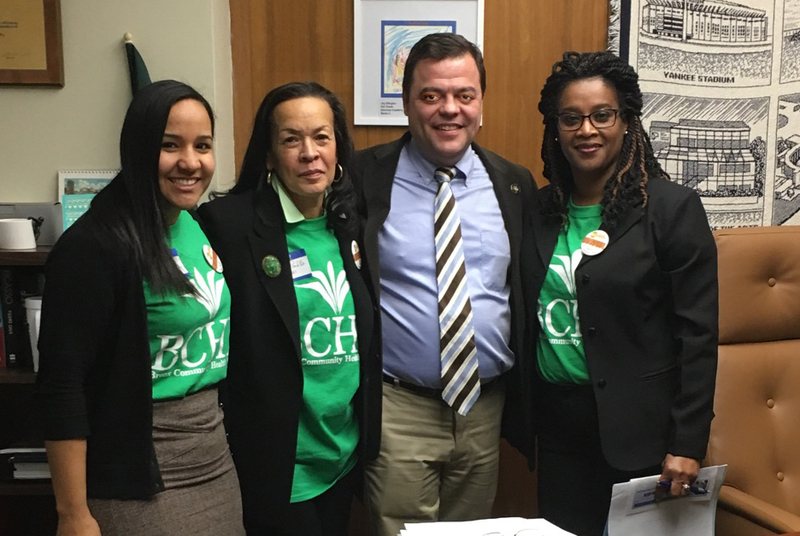 Assemblymember Luis R. Sepúlveda was among the many Bronx representatives who met with BCHN during Advocacy Day.